The Open Beta of Alliance Raids is here! Both Raids and War Efforts is now available to all Alliances. We’ll be listening to feedback and continuing to improve this feature in the coming weeks and months! Collect Intel, attack the home sectors of Rogue Factions, and get incredible rewards! Defeat Intel Bases on Thursdays and Fridays (except during the Event) to gather Intel for your Alliance. Leaders and Officers can spend Intel to initiate a Raid against a Rogue Factions’ sector. Up to 20 Alliance members can participate in every Raid! Beating Raid Bases grants Raid progress, Class Components, and Supplies. Completing the Raid grants bonus Supplies. The faster you beat the Raid, the greater the bonus Supplies! 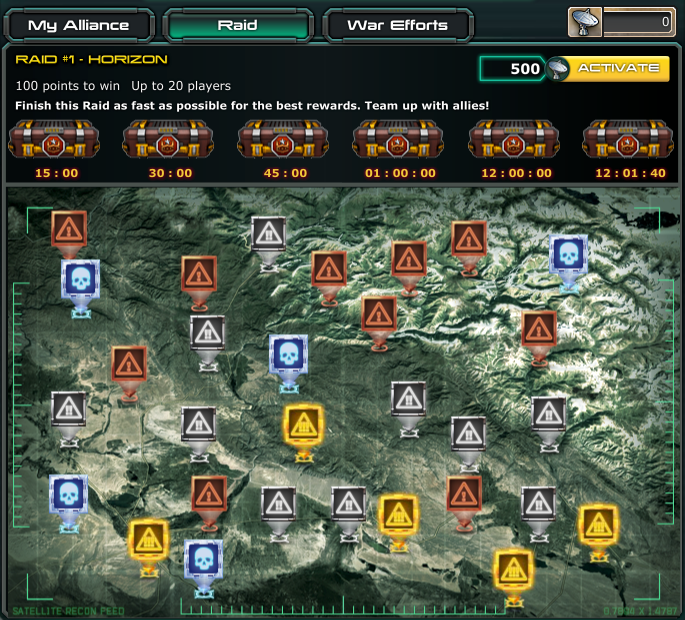 Use Supplies to activate War Efforts, temporary buffs that benefit every Alliance Member higher than a Recruit. Join an Alliance with your fellow Commanders! Earn Intel for your Alliance by hitting Intel Bases on the World Map. 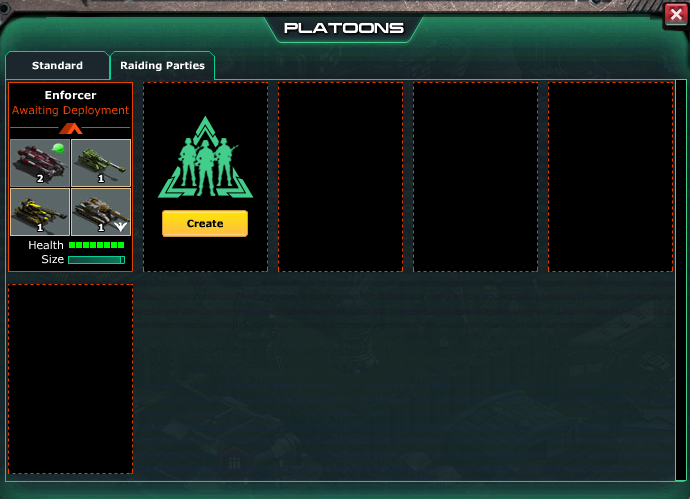 Form up to 2 Raiding Parties, used exclusively for Raiding, in the Platoon Manager. You will have access to your standard Air Platoon in Raids, as well. Have the Alliance Leader or an Officer start a Raid by spending Intel in the Alliance Manager. Make sure there are other Members of your Alliance on to help! The first Raid supports up to 20 participants! You must be in the same sector as your Alliance Leader in order to join a Raid. Players use their Raiding Parties and their standard Air Platoon to attack targets in the Enemy Sector. The faster you defeat the Raid, the greater the Rewards! Once you’ve beaten a Raid, you’ll have earned some Supplies. Earn enough Supplies and your Alliance Leader or an Officer can activate a War Effort! War Efforts are powerful buffs that, when activated, benefit everyone in the Alliance for their duration! Make sure to coordinate your Alliance so the most number of Members can capitalize on an activated War Effort! Attack - Increases Unit Damage by 10% for Alliance members while active. Defense - Increases Defensive Building Damage by 20% for Alliance members while active. Economy - Increases Resource Income (Metal, Oil, and Thorium) by 30% for Alliance members while active.